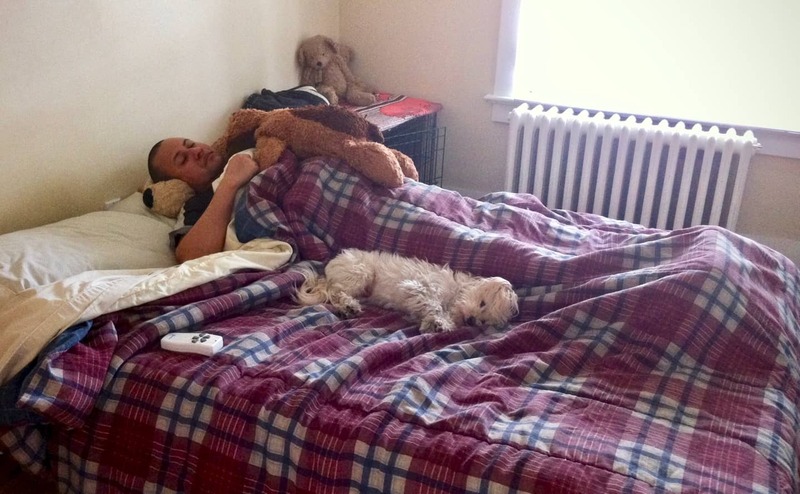 During the month of May while I was recovering from surgery, Lorenzo faithfully stayed by my side the entire time. From the moment I got home from the hospital, he knew that something was wrong and somehow knew not to jump all over me like he normally does when I walk through the door. When I’d lay in bed, whether I was sleeping or just resting, he was always right next to me. And when I’d get up to walk around the house or to use the bathroom, he’d follow me everywhere. In fact, for about three weeks he didn’t even want to leave my side when my wife Michelle would call him to go potty outside. He’d first look at me to make sure I was okay before reluctantly going outside to potty as quick as he could, and then he’d run back to my side to make sure I was still okay. I’ve written about Lorenzo’s exceptional loyalty before, but this takes it to a whole new level. How can I ever thank Lorenzo enough? Nurse Lorenzo was published by Daniel Menjívar on June 3, 2011 at 10:21:16 AM EDT and last updated on April 18, 2019 at 4:40:49 PM UTC .